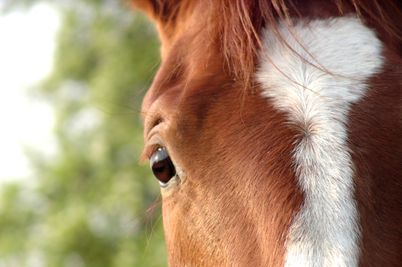 Equine Assisted Psychotherapy is a powerful and effective therapeutic experiential process for healing. It is through the hands-on approach that one experiences emotional growth, learning and healing. Horses naturally carry qualities of love, peace, calm, grace, gentleness, hope, magic, and mystery. Just observing a horse grazing in a pasture can easily bring one to a place of peace. Being in the presence of a horse helps one to reconnect and awaken to Spirit. Working with Gemma is powerful because she will give you immediate and honest feedback because she is always communicating. Through this process one can learn awareness, boundaries, respect, patience, tolerance, balance and emotional regulation. This approach uses metaphors and self-awareness techniques to assist others in figuring out how to shift out of old patterning, beliefs, attitudes, and habits that have been blocking them from living a full life. It is so much more than just "talking" it is experiencing, and it is FUN! Meet my co-therapist Gemma, a 15 year old mare who can help you accelerate your healing. She has experienced her own trauma and continues to work through her issues by "peeling" the layers. She now dedicates her life to helping others in their healing process. All sessions are held at the peaceful and beautiful setting of Saddle Ridge Stables in Oregon, WI. Just as in the clinic, all sessions are strictly confidential.